This is a sponsored post written by me on behalf of izon, the WiFi camera line powered by Stem Innovation for IZEA. All opinions are 100% mine. If you know me at all, you know how worried I get when it comes to things at home that I want to check on, especially my 4 dogs! That's why I'm obsessed with the izon home monitor! If I leave home for work in the morning, and I'm worried about what my dogs are getting into, I can easily see them from my smartphone! Yep, all possible with izon pet cam! After connecting a camera to a WiFi network, it's audio and video feed is accessible via my smartphone or mobile device, no matter where I am! I am totally loving the sleek look and how discreet this is. I can just set it on my shelf in my bedroom where the dogs stay while I'm at work. It barely takes up any space, it's lightweight, and it's got a great modern technology look to it! The izon camera comes with a wall plug, USB drive, and everything you need to keep it standing up, even a little stand with a magnet that lets you adjust how the camera sits! That's perfect when you want to use it as the izon baby monitor because you can make sure it gets a perfect view of your baby in it's crib. 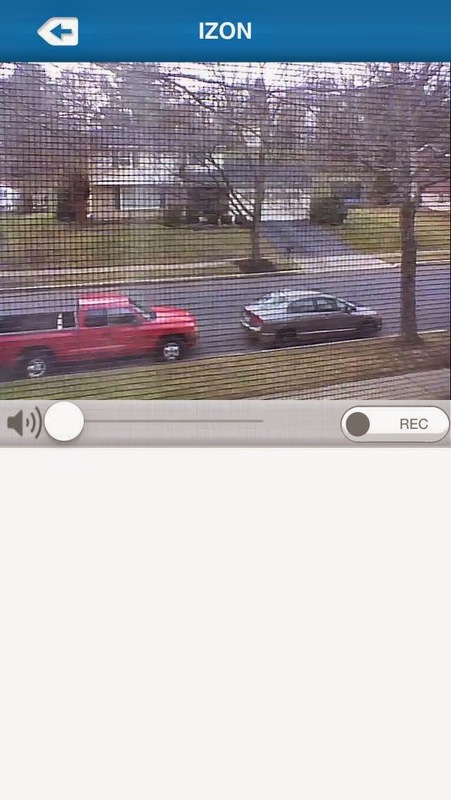 I even set mine to view where my car was parked on the street out front of my house! I love the quality of the camera! I'm so impressed and it picks up audio well, and if you don't want to hear the audio on your phone, just adjust the volume, simple as that! What's even better is that the setup literally took a few minutes and was SO EASY!!!! It's amazing that something so tiny and simple and easy to use can give me so much peace of mind! Don't you want one now? Well that's great because you can Buy Here! Ok I think I need this! what a cool little camera.